The other reason I dislike the term diet is because it assumes that these are habits to take on just until you reach your goal weight. Part of the reason the Mediterranean diet is so well loved among healthcare professionals is that it is sustainable, and the hope is that once you start you will not want to stop. This lifestyle is about respect for your body and appreciation of food. Based on consumption alone, we may think that the western culture regards food as god-like, but in fact we tend to treat it more like a demon sent to destroy our lives. We eat it, hide it, feel guilt over it, lust after it, and often die from it. In Greece, Spain, Italy, and many other seaside countries there is a healthy, and I emphasize healthy, respect for food. A meal is something to be enjoyed over many hours with friends, taking slow and small bites and sips. It is not generally eaten drive-thru style or in the last few minutes before a meeting, not in front of a television, nor in bed. In these countries people truly savor the complexities in their food, a practice less common in the west. Salt, fat, and sugar have taken over as substitutes for rich spices and fresh vegetables, making food a lot like cigarettes: monotonous, addictive, and wholly unhealthy. Those wishing to change their diet should make culinary adventurousness and slow, thoughtful eating their next goal. Now we come to the actual ‘diet’ portion of this diet. This lifestyle is not about forbidding yourself gastronomical pleasure, but becoming more aware of the quality of your food and the diversity it presents. 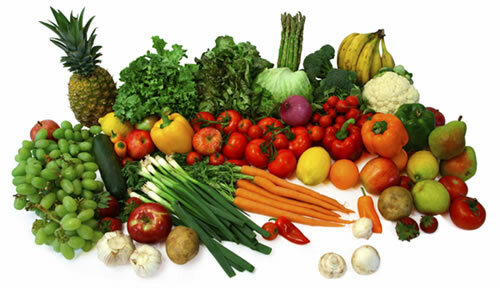 The most diverse flavors that exist do not come from meats or diary products but from vegetables. The Mediterranean diet is mainly about unique combinations of whole grains, colorful vegetables, and an array of herbs and spices as the base for a great meal. The proportions are not obscene because there are often many courses including a large, vegetable-dense salad. A light oil and vinegar emulsion with some spices and hard cheese is preferable over cream-based or sugary dressing. When choosing a protein source at your meal, red meat and chicken should be less common than fish. Why is fish so great? Saturated fats, generally considered bad for health, are solid at low temperatures. Because fish generally live in very low temperature waters they would solidify and sink if their fat was mostly saturated. Instead fish have unsaturated fat, and often many almighty Omega-3 fats, which are incredibly good for heart health. As for those concerned about mercury, this is of great concern for pregnant women but not for the general population as long as fish is not consumed excessively. I recommend 2 fish-centric meals a week. Those who are still concerned should stay away from large, older fish such as tuna in favor of smaller and younger fish such as salmon. As for fat, the western diet is strongly routed in the bread and butter tradition, but lets give olive oil a bit more attention. Olive oil is far superior to both butter and margarine in health and, I would also argue, in flavor. People tend to use much less of this plant-based oil than solid fats too. Most restaurants have even become used to patrons requesting lightly salted olive oil with their bread instead of butter. While dairy products are not nearly as big in the Mediterranean as compared to the west, those that are consumed are generally lower in fat and higher in protein. There’s no American or cheddar cheese here, but instead Parmesan, feta, goat cheese, halloumi and mozzarella. As for yogurt, European transplants will tell you that western yogurt is drastically sweeter than what we have come to know as Greek yogurt. Fortunately Greek yogurt is gaining popularity now; it is best made with low- or non-fat milk and served with granola and fruit. There are just a few more steps to adopting a true Mediterranean diet. For a crunchy snack, nuts are the alternative to chips or pretzels. Almonds, pistachios, walnuts, and peanuts are great choices and very easily portable for an afternoon pick-me-up. Nuts (serving size ¼ cup) should be unsalted or lightly salted, not honey-roasted or candied. For a bonus, find nuts with the skin still on; these skins are high in antioxidants. Finally, we come to alcohol. For years we have been told that a glass of red wine enjoyed on occasion can be good for heart health. Red wine, unlike white wine, is pressed with the grape skins, a rich source of antioxidants. These antioxidants fight harmful chemicals in your body that may cause cancer and heart disease. Unfortunately your body can only absorb so much of these antioxidants at a time, meaning that if you over-do it on the booze you will get all the calories with none of the reward. Here, as with desserts, moderation is key. For those who do not drink, a small glass of red grape juice has many similar benefits. Study after study has shown that the Mediterranean lifestyle, a lifestyle of exercise, pleasure, and enjoyment of food, is associated with overall better health. In true followers of this lifestyle chronic diseases like diabetes, high blood pressure, heart disease, and cancer are rare. Weight is usually easily managed and even depression is less common. So choose this diet for health and happiness and embrace it as readily as if you were on the beach in Greece! Choose cheeses that are hard or low fat and yogurt that is only lightly sweetened.